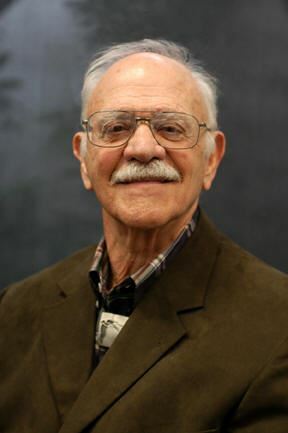 Frank Christ was the founder and co-director of the Winter Institutes for Learning Assistance Professionals and was actively involved with learning assistance for over 35 years. He was the founder and past coordinator (1972-1990) of the award-winning Learning Assistance Support System at CSU Long Beach. Frank was also a founder and past president of the Western College Reading Association, now known as the College Reading and Learning Association. His editorial contributions include editor of the WCRA Proceedings (Vols. I through IV), guest editor and contributor to the Jossey-Bass New Directions for Learning Assistance series (1981), founding columnist (1981-87) of the Journal of Developmental Education "Techtalk" Series, Series Editor for LABS, 8-page learning skills booklets published by H & H Publishing Company, content editor of LSCHE, the learning support center web portal, senior editor of a CRLA Monograph entitled, "Starting Up A Learning Assistance Center: Conversations with CRLA Members Who Have Been There and Done That" (Clearwater, FL: H & H Publishing Company, Inc., 2000), and contributor, “Academic Support,” HIGHER EDUCATION IN THE UNITED STATES.AN ENCYCLOPEDIA. (Santa Barbara, CA: ABC-CLIO Publishers 2002). In addition, Frank co-authored 100 Things Every Online Student Ought to Know (Cambridge Stratford Ltd.) and Online Skills & Strategies Handbook: Just in Time Help for Online Students (Allyn & Bacon). Many of his major articles can be found on the Learning Support Center for Higher Education web site at lsche.net. Frank had been a consultant in learning skills and learning center design for colleges and universities and for business and industry. His clients included the 18 colleges and universities of the CSU system, UCLA, UC Santa Barbara, Loyola of Chicago, Stanford University, Louisiana State University, Grambling State University, and Southwest Texas University; community colleges like Honolulu CC, Florida CC at Jacksonville, Miami Dade CC, Hinds CC District, and Central Arizona.